She had her first hit record in 1964 and was born, Marie McDonald McLaughlin Lawrie, fifteen years earlier in Lennoxtown, Stirlingshire. Today she's still just known by the name, Lulu and for many people her signature recording, a cover version of the Isley Brothers' 'Shout' remains a defining record of the 1960s. In North America she is better known for the title song of the movie with the same name, 'To Sir, With Love'. Her cheery persona has helped to extend her career through TV, personal appearances, helping Take That to a No.1 record and even surviving an appearance on the Eurovision Song Contest. Lulu signed to Decca Records when she was fifteen and recorded 'Shout', sounding way older than her age. Among her many achievements early in her career was to become the first British female singer to appear live behind the Iron Curtain. Over the next three years she recorded several albums and ten singles for Decca which all helped to establish her as one of the most popular British female singers. Most of her early Decca recordings are to be found on The Best of Lulu. In April 1967 she was back on the UK singles chart with 'The Boat That I Row', a song written by Neil Diamond. The successful British promoter, Mickie Most, produced all this, and the next half dozen singles. In 1967 she made her film debut in To Sir, with Love, a British made film starring Sidney Poitier. Lulu both acted in the film and sang the title song, which made No.1 in the United States. As well as having a successful recording career she also starred in her own TV series. On March 1969, she represented the United Kingdom in the Eurovision Song Contest performing 'Boom Bang-a-Bang' that was chosen from a selection of six by viewers of her BBC1 TV series Happening for Lulu. Among the other songs, and the one that came last, was 'Can't Go On (Living Without You)' written by Elton John and Bernie Taupin. 'Boom Bang-a-Bang' was a winner, though three other songs, from Spain, the Netherlands, and France, tied with Lulu on 18 votes each. Shortly before her Eurovision appearance Lulu married Maurice Gibb of the Bee Gees, but they divorced in 1973. Shortly after the Eurovision contest Lulu recorded New Routes, at Muscle Shoals studios and among the tracks was Jerry Jeff Walker's 'Mr. Bojangles', featuring Duane Allman on guitar. In 1974 she performed the title song for the James Bond film The Man with the Golden Gun and also that year covered David Bowie's 'The Man Who Sold the World' on which Bowie played saxophone and sang backing vocals. It made No.3 in the UK chart in February 1974 and was a top 10 hit in several European countries. The Bowie track and many of her other hit records before and after can be found on Lulu's Greatest Hits. In 1979 after appearing in Margate, Kent she was in a car accident and very nearly lost her life. Later that year she narrowly missed having a hit on Elton John's record label named The Rocket Record Company with, 'I Love to Boogie'. In the 1980s she made notable stage appearances in Andrew Lloyd Webber's Song and Dance and the Royal National Theatre's Guys and Dolls. In 1983 she re-recorded a number of her songs including 'Shout', which again reached the Top 10. In 1993 she had a hit with, 'Independence', which reached number 11 in the UK charts. Later that same year she was a guest on the cover version of the Dan Hartman song 'Relight My Fire', by Take That and reached No.1 in the British charts. In 2000 Queen Elizabeth II made Lulu an OBE and in 2002 she released Together - a collection of duets with Elton John and Paul McCartney among others. Throughout the decade Lulu appeared frequently on TV in series ranging from Absolutely Fabulous to Strictly Come Dancing. She has become a National Treasure. Reissue of a 1965 LP, with many bonus tracks. In the U.K., Lulu first reached stardom as a gutsy belter of R&amp;B tunes, delivered with a maturity and soulfulness that belied her teenage years. This 20-song compilation of material from 1964 to 1966 is the best CD reissue of her early work, although it's missing some of her better cuts. It includes her two mid-'60s British Top Ten hits, a cover of the Isley Brothers' "Shout" and the mid-tempo pop/soul tune "Leave a Little Love." Elsewhere, you get the spunky "I'll Come Running Over," which features Jimmy Page on guitar, and a raunchy cover of the obscure Rolling Stones song "Surprise Surprise" (also featuring Page). Most intriguing of all is the original version of "Here Comes the Night," later a hit for Them. Lulu performs it as an overwrought, pull-out-the-stops orchestral ballad; it's not nearly as successful as Van Morrison's rendition, but it's worth hearing. Unfortunately, this compilation doesn't include her surprisingly superb cover of "Heat Wave" from the same era. Out of the myriad retrospectives that have appeared throughout the years, Mercury's 2004 The Greatest Hits collection is the first collection to span Scottish singer Marie McDonald McLaughlin Lawrie's entire career. 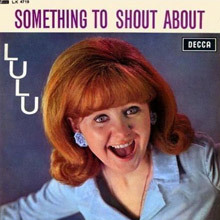 A playful, girl group goddess in the '60s, Lulu came to prominence with the international hit "To Sir with Love" in 1967 (she had regional success with a version of the frat anthem "Shout" in 1964). Similar to contemporaries like Brenda Lee and Dusty Springfield, Lulu's raspy and rowdy singles began to peter out at the end of the decade, but she returned in the '70s with the hit "Oh Me Oh My (I'm a Fool for You Baby)," along with a string of marginally successful albums and collaborations before reinventing herself in the 1990s as a dance-pop diva. 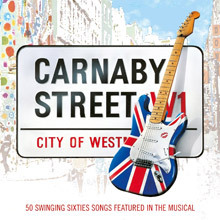 The Greatest Hits takes all of Lulu's phases into consideration, so fans who only followed the singer through her '60s heydays would be better off with To Sir with Love! The Complete Mickie Most Recordings, but listeners looking for a more comprehensive picture would do well to tune in to this fine collection of material from one of the U.K.'s most enduring and endearing talents. Released in 2002, ‘Together’ was recorded by Lulu as an album of duets with various artists including: Elton John, Paul McCartney, Joe Cocker, Cliff Richard, Westlife and Ronan Keating amongst others. The album reached No. 4 in the UK album charts. This selection of songs demonstrates the wide and varied talents of this legendary pop singer. All of the tracks are newly recorded except ‘Relight My Fire’ with Take That which was a chart-topper in the 90s. Standout tracks include ‘Teardrops’ with Elton John, Brian Wilson’s epic ‘Sail On Sailor’ where she shares the vocals with Sting and the powerful and stirring ‘The Prayer’ with Russell Watson. Can anyone really have expected much of a new album by Lulu in 2004? Forty years after she shot to stardom in England and 37 years after she did the same -- briefly -- in America, she would seem to be part of the fraternity of older English popsters who periodically step into the studio for another go at recording, without too much heavy lifting. So how come she's giving 103-percent or more on Back on Track? And how come the title of this 2004 album is strangely appropriate? The look, as she peers out from the inner fold of the inlay card on the CD, is the same kind she gave us in 1964 -- the synthesized drums are something new, but otherwise, that raspy, bluesy voice competing with the electric lead guitar sound is not at all different from the 17-year-old who carried the Isley Brothers' "Shout" up the U.K. charts and parlayed it into a television and movie career. "Keep Talkin', I'm Listening" is the single and the lead-off track, but Lulu acquits herself well on "Now You Love Me," with its ringing guitar accompaniment, and plunges into harsher territory on "Slow Motion," a hard-rocking track that's a special surprise coming from the 56-year-old pop star. Then she moves into balladry with "Could I Be More Blue" and fills out the music's aching lyricism, and follows it with the even slower, softer, lovelier "All the Love in the World." The rest of the record is hard, loud rock &amp; roll broken up with a pair of guitar-driven ballads, "Roll the Dice" and "Sentimental Heart," and ending on a luscious mid-tempo rocker, "Where the Poor Boys Dance," that could have been a single. There are no notes and the credits are printed ridiculously small, but there are lyrics that are readable, and the music is good enough that any flaws in the packaging are incidental.